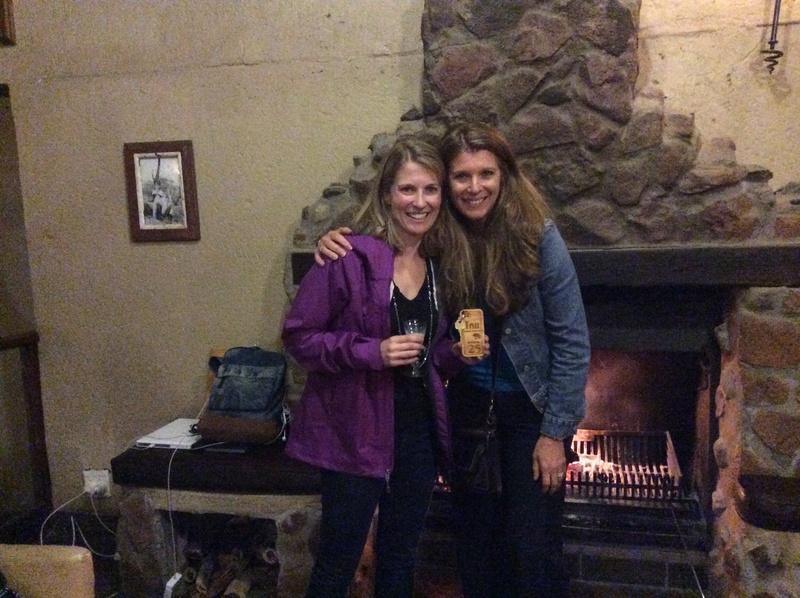 Effie in South Africa…The Journey Continues…. 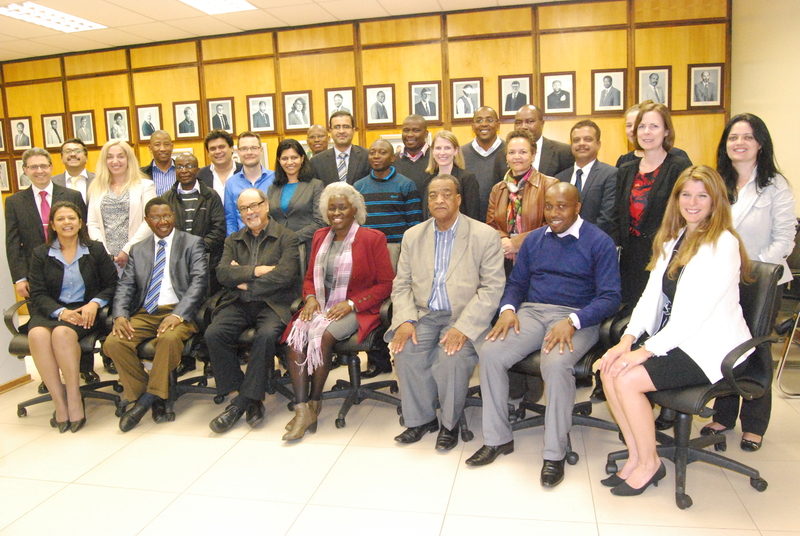 Today is our last work session with our client, iNesi, before they return to their HQ operations office in Pretoria. We will be meeting with them in July to present our final project deliverables. 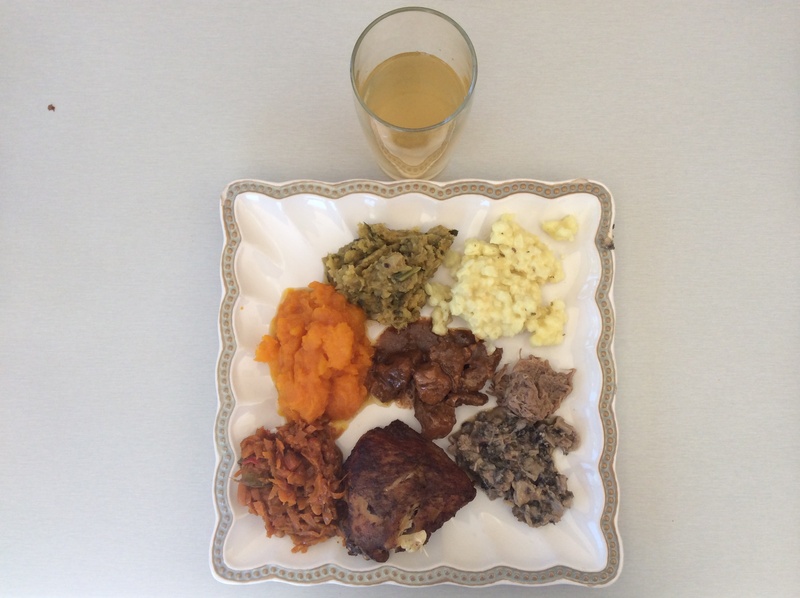 For lunch we enjoyed local Mafeking cuisine arranged by our University host Professor Modise at SABC (South Africa Broadcasting Corporation). 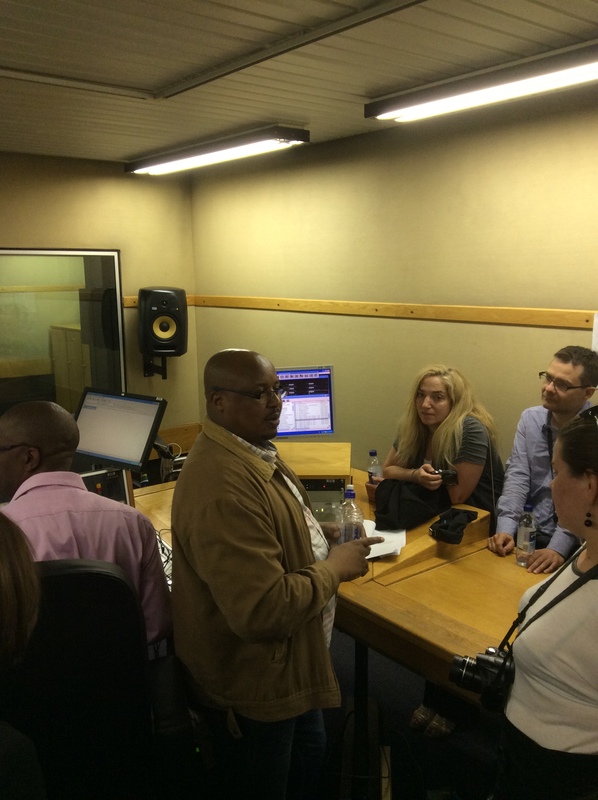 After lunch we were given a tour of the Radio station and our very own Valentina Salapura was interviewed airing live. Can’t forget the food….it was the best hot lunch ever! This was a very yummy hot lunch featuring local Mafikeng cuisine. Happy Friday! Its been a very busy first week and our project work is progressing quickly. We met with the Minister of Communications and a Collaborative Laboratory. 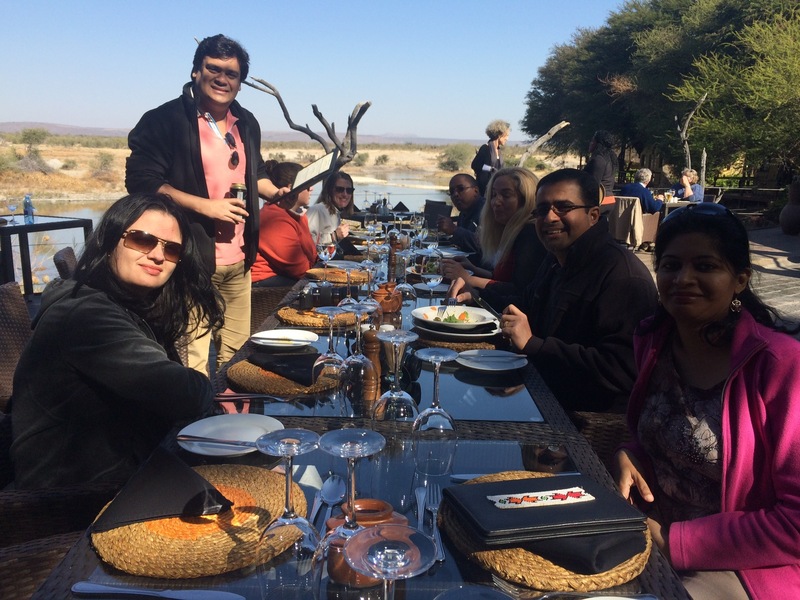 As the team ramped up for the weekend we decided to spend some time at Madikwe Game Reserve. We checked into the Tau Lodge with 30 huts and Katy & I were assigned to Room 25. 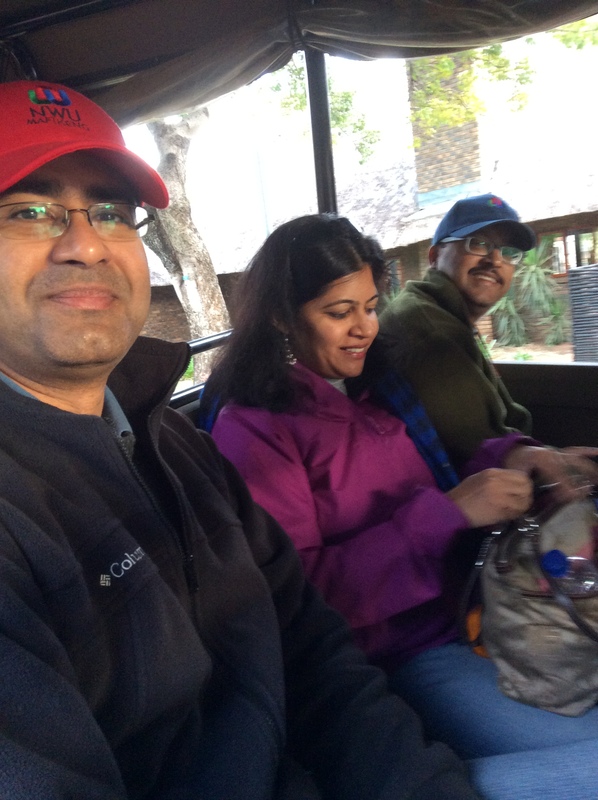 Over the 2 days we sighted 4 of Africa’s “Big 5” . This weekend was a great way to unwind while giving the team an opportunity to get to know each and enjoy each others company. Katy & Effie – Roomies for the weekend keeping warm in front of the fireplace. It was a very cold night. 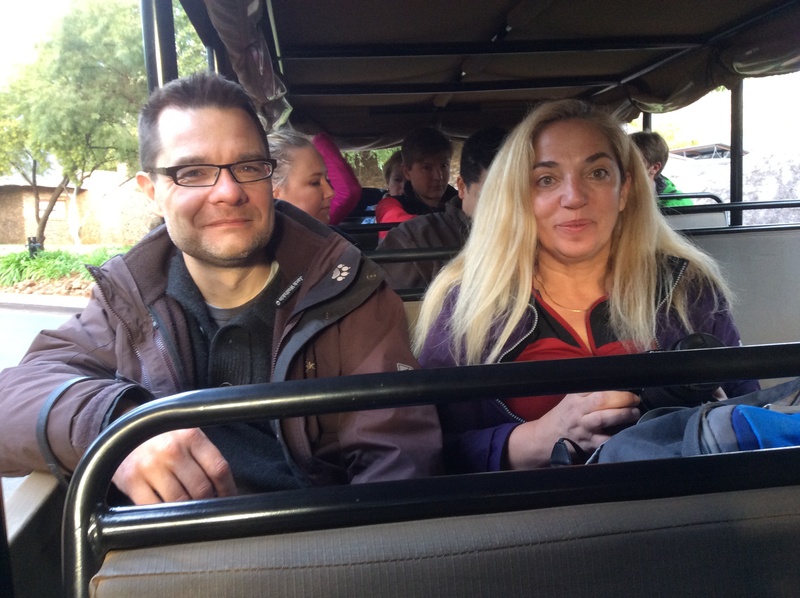 Our day began at 8:00 am sharp as we prepared for our first game drive with Dylan, our Game Reserve Ranger. 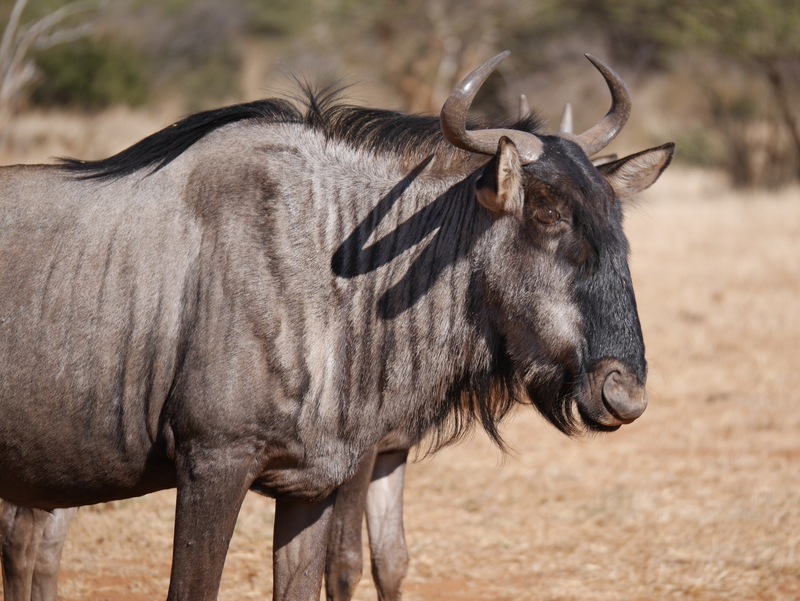 Over the course of a few days we followed Cheetahs hunting Zebras, a brown Hyena, Wildebeest, Springbok, Impalas, Lions enjoying their catch of the day (wildebeest), Eland, Kudu and Zebra. 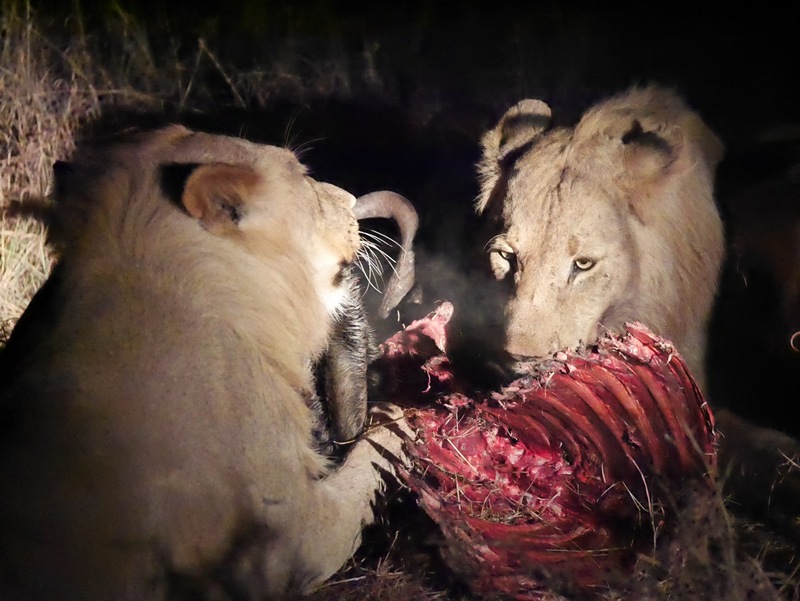 Lions feasting on a successful kill–the Wildebeest special. 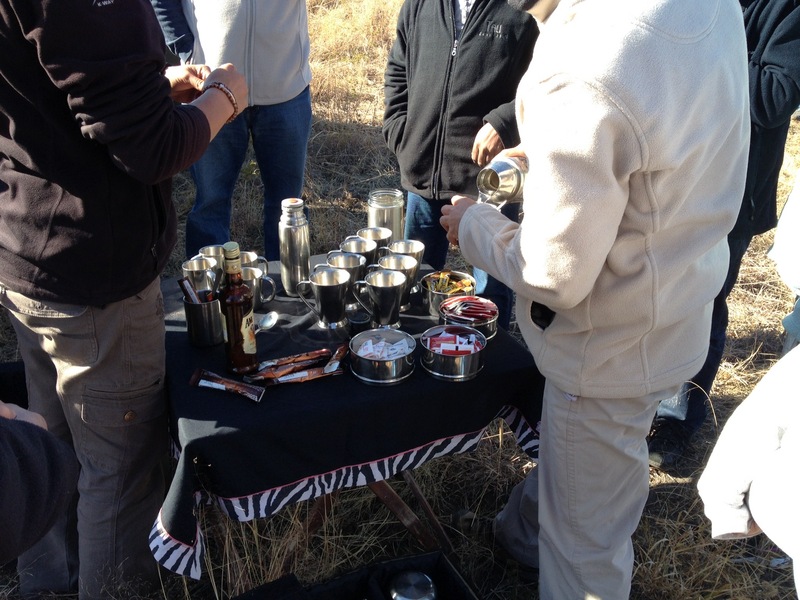 Our team mid-morning in the Bush taking a coffee & tea break. 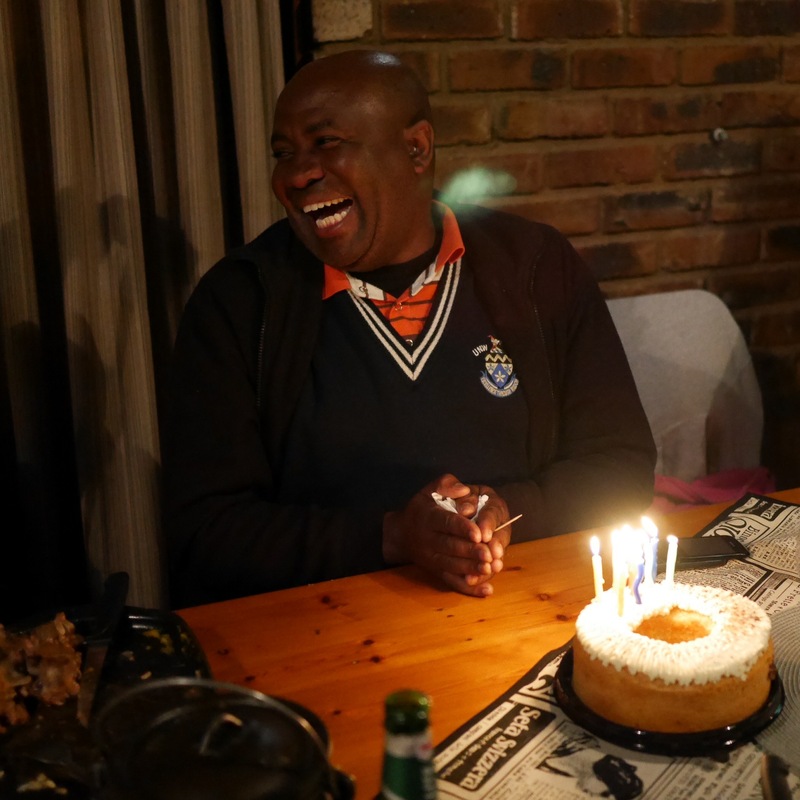 Another guest at the Lodge was celebrating her birthday & a traditional South African birthday song and dance was performed by the Tau lodge staff. (Tau = Lion in Tswana a language spoken in South Africa). Lunch was superb and the Chef kindly shared the recipe. 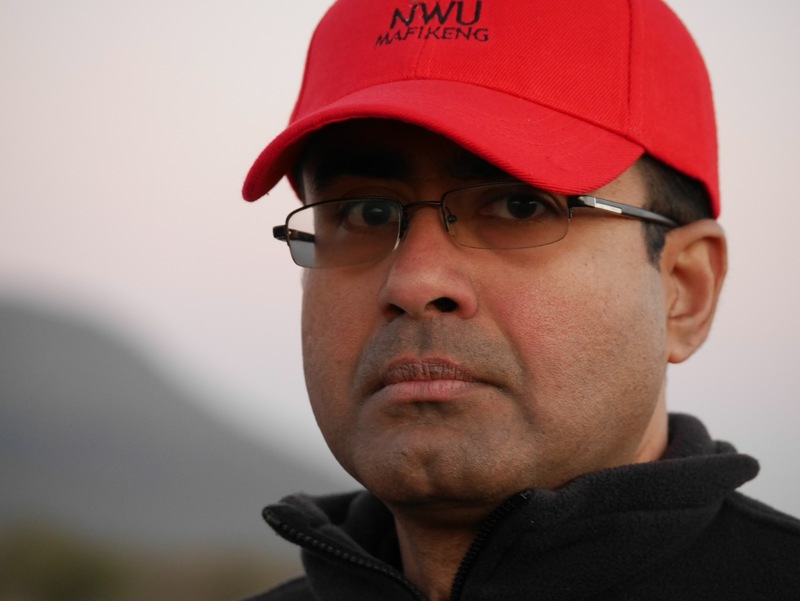 Time to return to base camp in Mafikeng. A great weekend was had by all. On Monday evening we worked all day at North West University and on the way home we stopped in to grocery shop. We also purchased a few birthday cakes as we had 3 birthday celebrations that week. Daniel’s Birthday Party! It was Daniels birthday dinner celebration on Tuesday evening, Chandra’s birthday on Wednesday evening and John’s birthday on Friday. This is Daniel’s birthday dinner celebration. 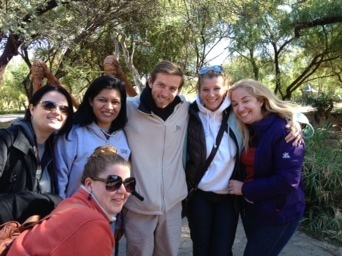 Daniel takes care of navigating all 14 of us to & from North West University each day! I can say that Daniel is a very patient man! 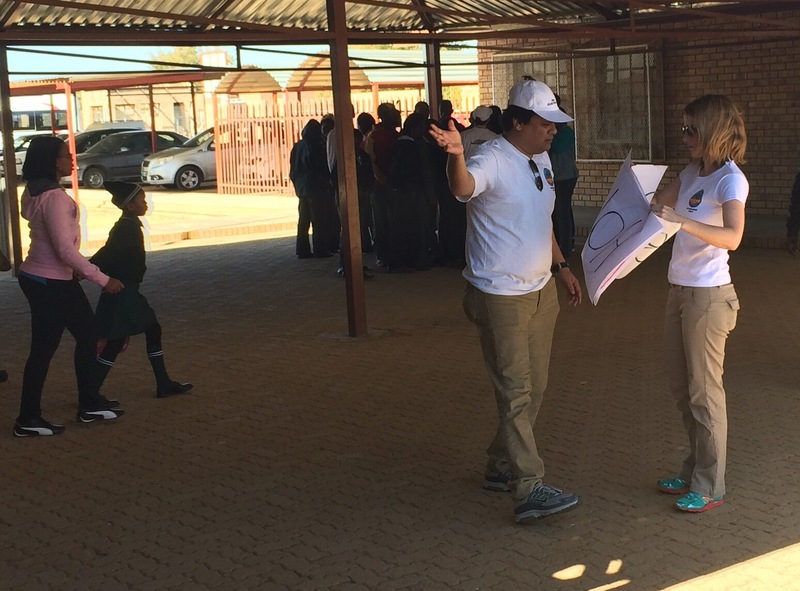 Today we worked with children at the Bophelong Special School which opened on March 18, 2010. The IBM team split up in teams of 2 and we spent time with our kids. My team mate was Leigh and we played a game of soccer with older boys. Later we retreated into the classroom for some fun language lessons & art. My partner Leigh, what a great soccer player! 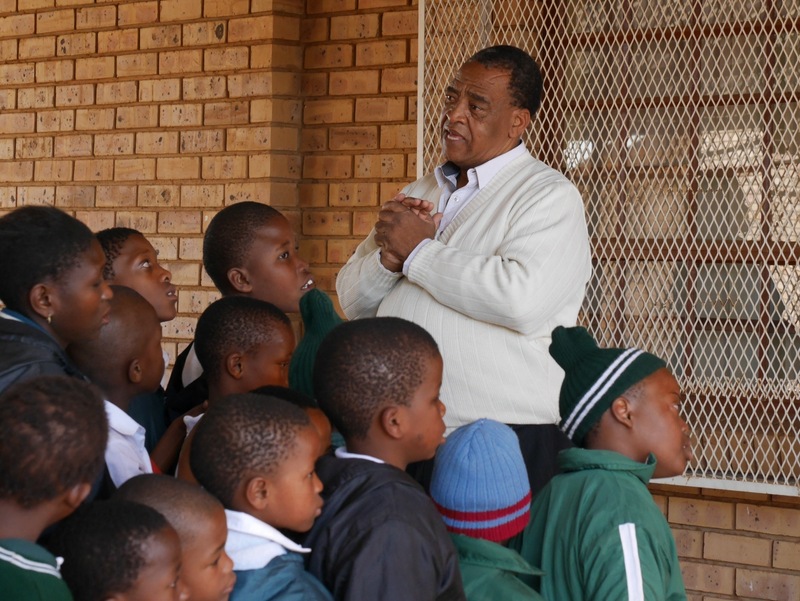 Professor Modise greeting the children and introducing the IBM team. The children’s spirit was sparkling. Katy & Suro organizing the IBM team at the school! Great job! Later in the evening we celebrated Our “Aussie” good friend Chandra’s birthday & the team hosted a surprise vegetarian birthday dinner at the hotel. Good times were had by all and Chandra most enjoyed wearing the princess birthday hat we purchased for him! OOOOpppps! unfortunately Chandra did not wish to wear his princess birthday hat so here we caught him on a serious note. Happy Birthday Chandra! You are a true Cracker! After dinner we engaged in a heads down work session for our 1/2 day North West University student IBM Briefing day. Valentina, Sanjay & I were the keynote speakers and then we held breakout sessions where the entire IBM team conducted topic specific discussions and where students had the opportunity to ask top of mind questions regarding their Careers, Women in Technology, Research & Science. Mmathapelo (aka Thaphi) and Kebiditswe (aka Adelaide) Bokang is not present as he is camera shy…stay tuned for a sneak photo soon…. The team wrapped up the day with a quiet dinner at the hotel. 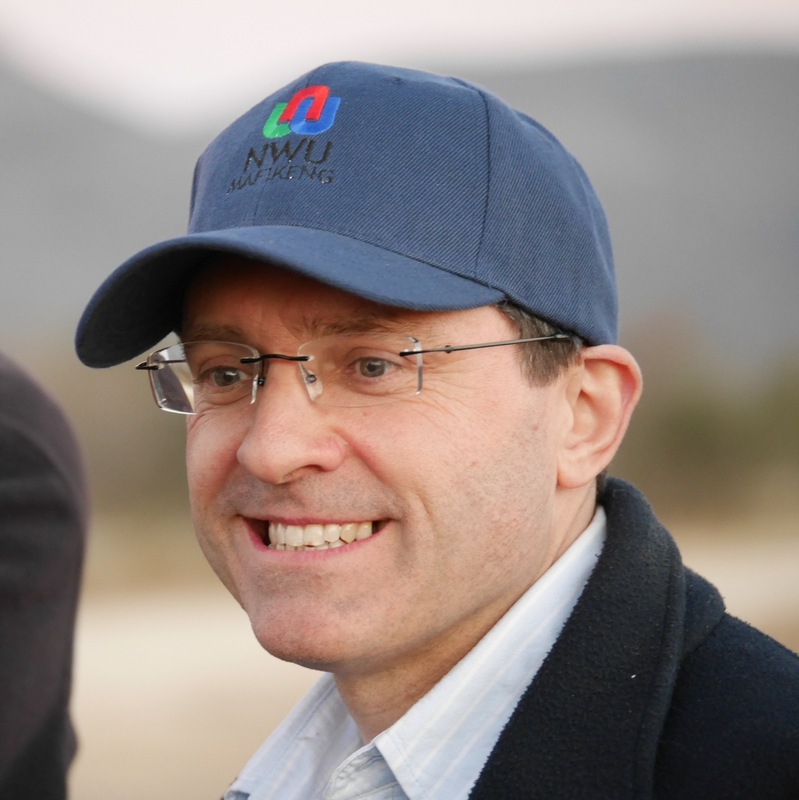 On Friday morning, the entire team was invited to have a Breakfast Meeting with Charles a key local Mafikeng Tourism Representative along with local provincial officials & an Entrepreneur leader who are all supporting a key Entrepreneurial Learning program that is being launched in South Africa. 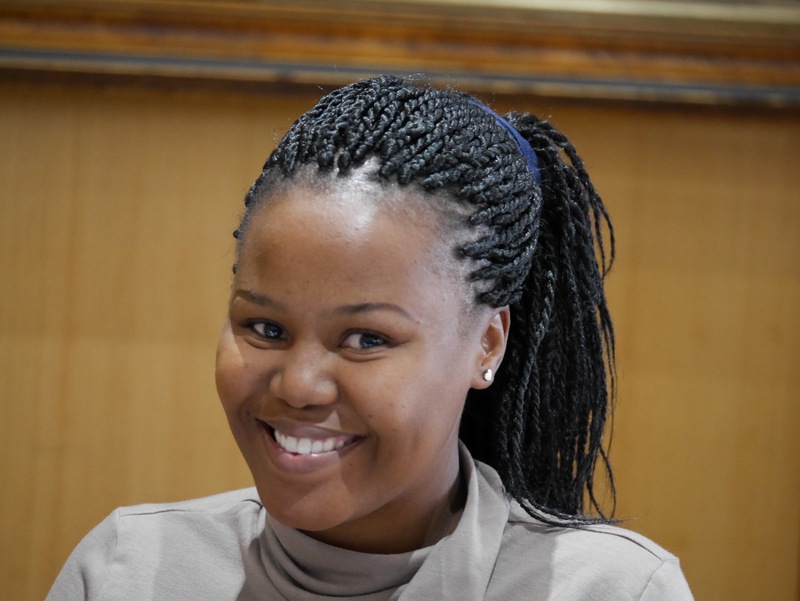 Much of the discussion was centered around helping South African youth build their own businesses and becoming successful Entrepreneurs. Friday afternoon my team huddled in a work session to prepare for the following week ahead. At that time some decided to stay at the hotel to relax and others decided to venture out to see more of what South Africa had to offer in the wild. 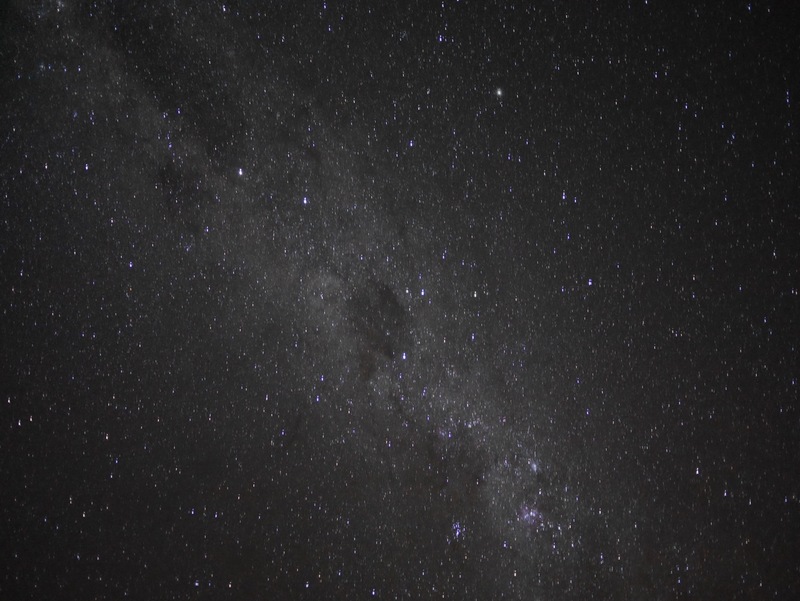 Consider it your lucky day to be in the right place at the right time to see the Milky Way and the Southern Cross . The month of June in the Southern hemisphere is the right place & the right time to be here to see it all! It was the first time I ever saw this! Unbelievable! Due to the distance away from our home base we decided to stay the night at the Bakubung Bush Lodge. where we enjoyed further star gazing & viewing the Milky Way Galaxy at its best! 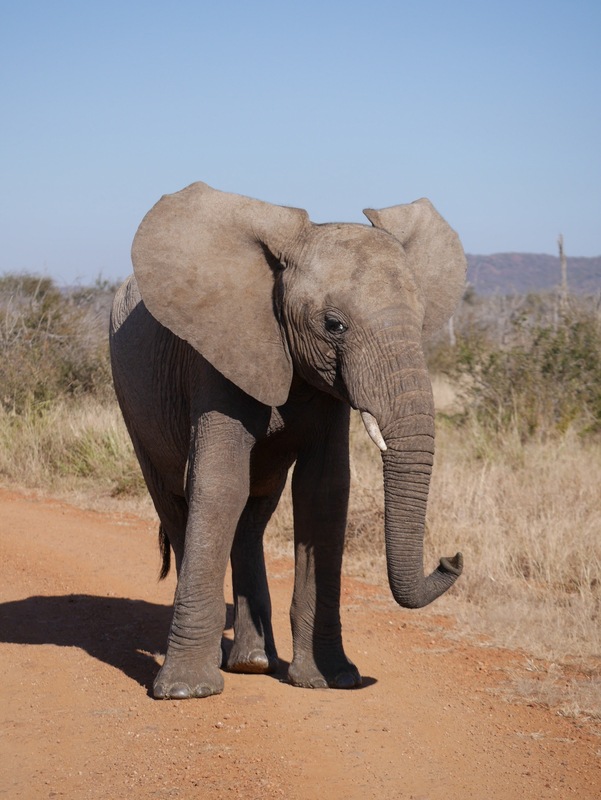 We spent time at the Pilanesberg Game Reserve, the 4th largest park in South Africa and spotted much wildlife, including the Big Five. 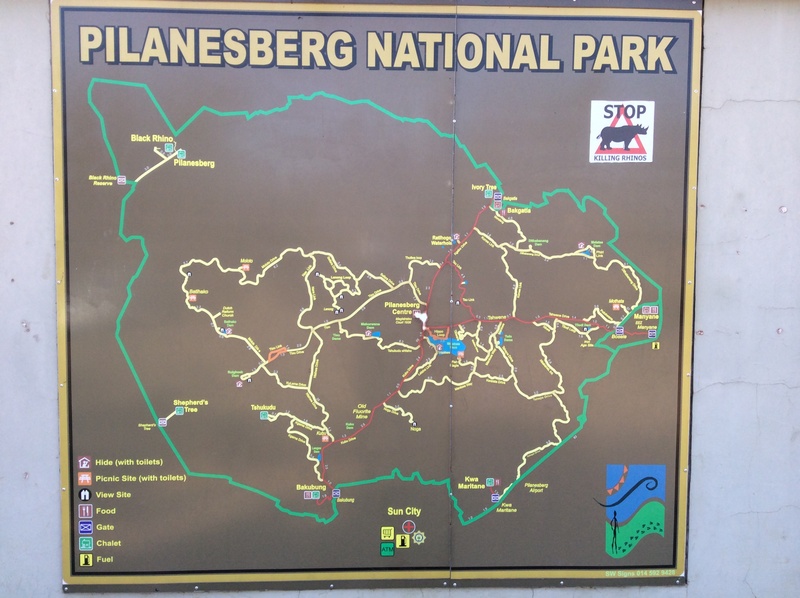 Pilanesberg is a melting pot of topographies–which include syenite koppies, forested ravines, bush veld and rolling grasslands and lightly wooded areas–all contained in the crater of an extinct volcano that covers 55,0000 hectares. The Mankwe Dam is the central water feature here where much of wildlife drink. 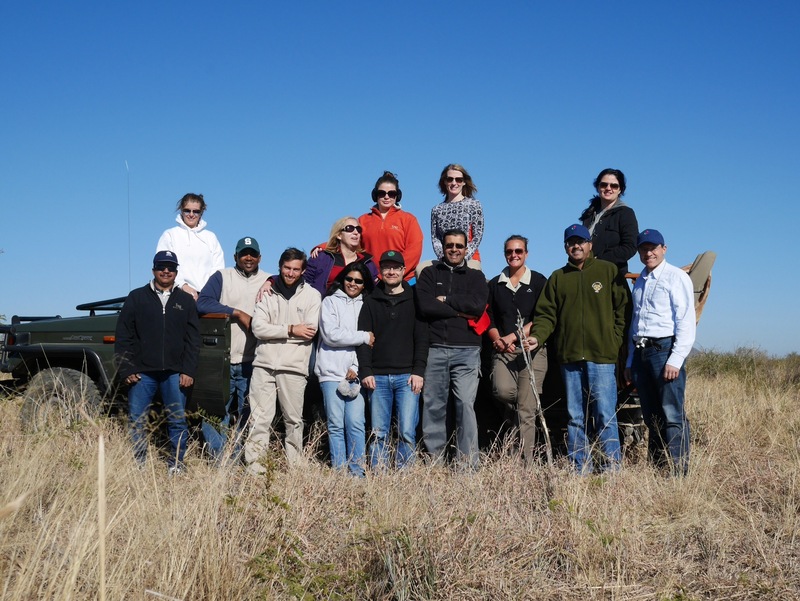 The team at Pilanesberg! Cheery & excited to get started! 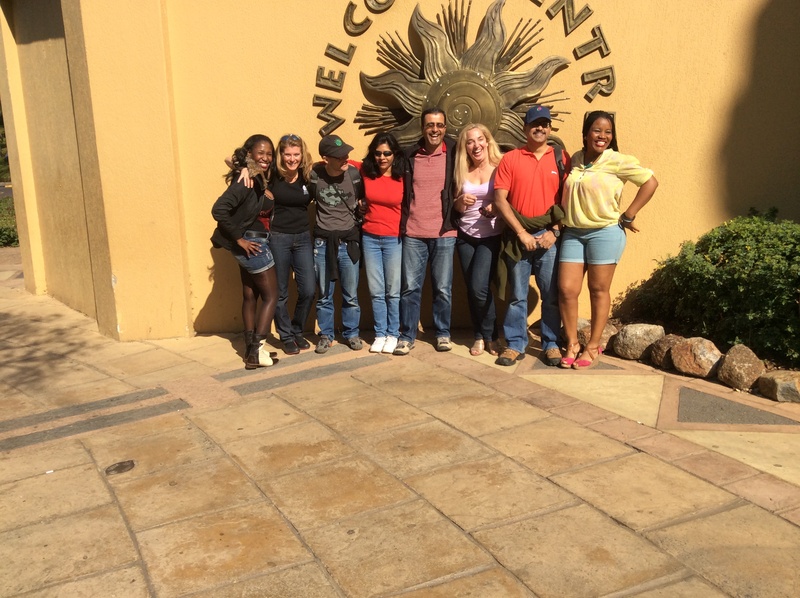 We spent time at the Pilanesburg Game Reserve and we also visited Sun City—Africa’s Las Vegas. It was fun and picked up some new friends along the way! Meeting new friends along the way. I bumped into the Canada National Gymnastics team and they were competing in the world nationals. 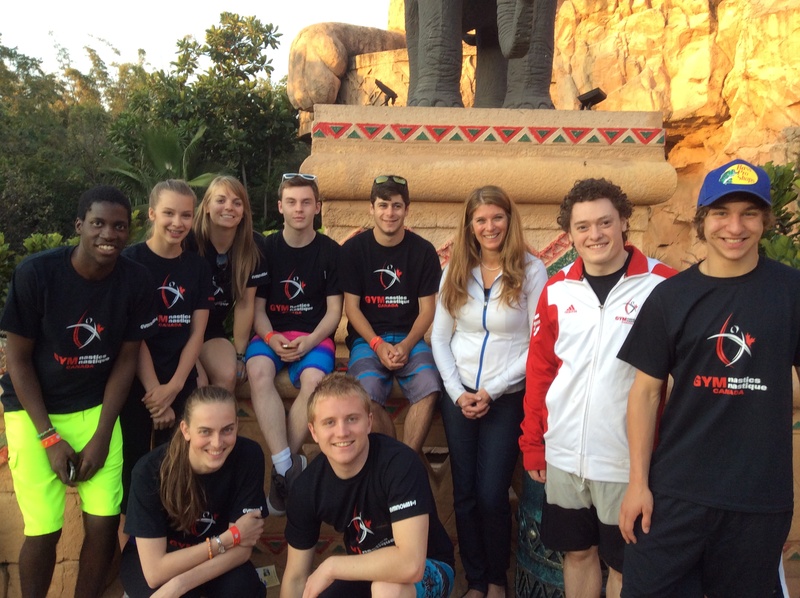 The Canada team had trampoline & tumbling floor athletes competing at Sun City. Canada National Gymnastics team ready for some competition….and in it to win it!!!!!! !Good Luck Team Canada! 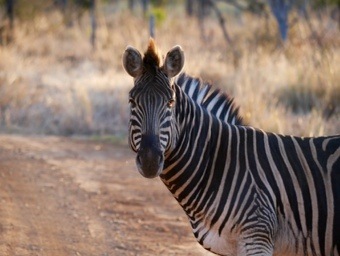 We spent more time at the Pilanesberg Game Reserve and saw many more animals. 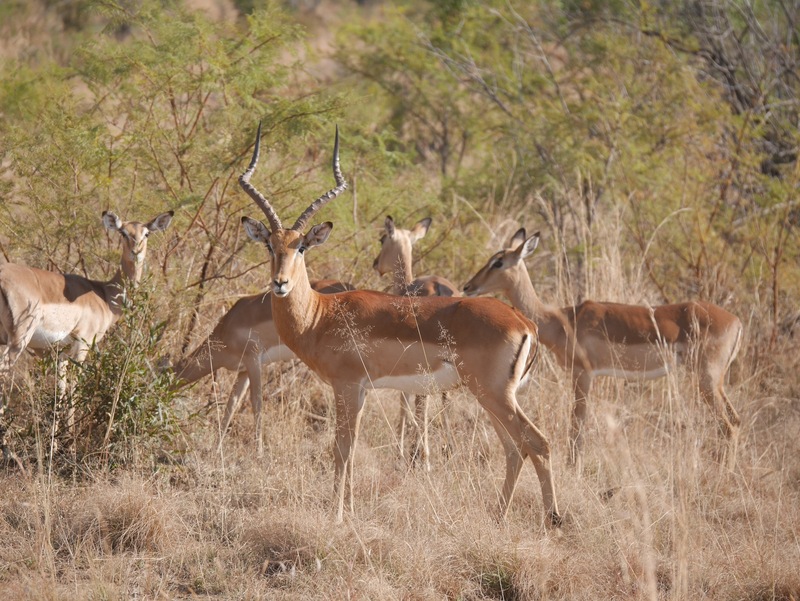 The beauty & gentleness of Impala. On Sunday morning we spent some more time tracking more animals and then ventured back to our home base in Mafikeng. The team huddled on Sunday evening to prepare for a key client meeting at North West University for Monday morning. 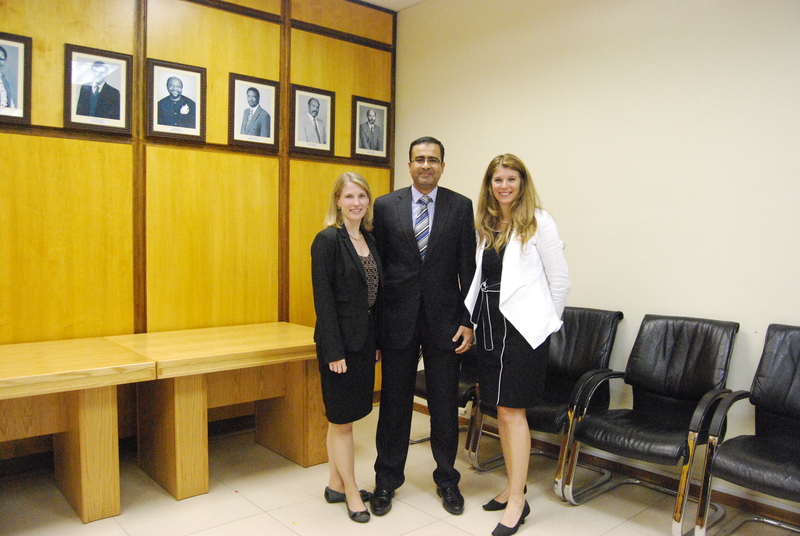 Our day in the office was spent in Client meetings & preparing for more meetings with stakeholders. 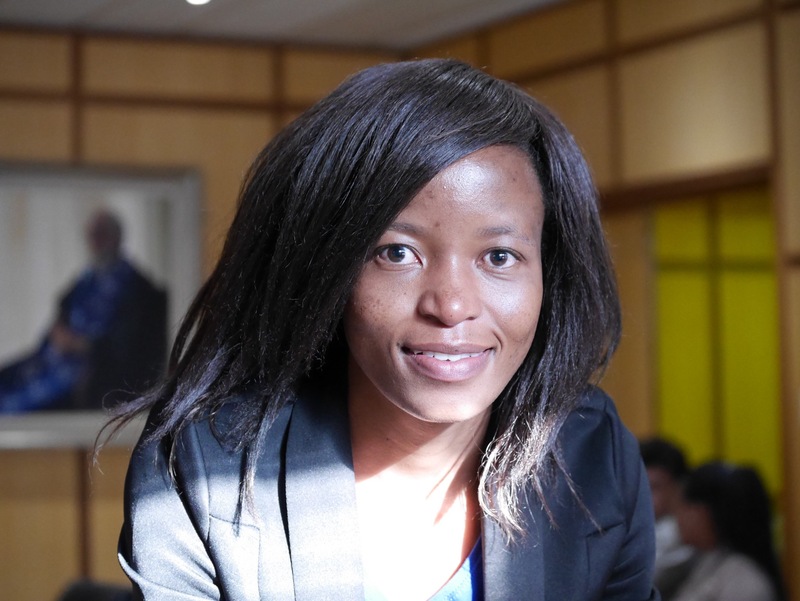 We are beginning to document our final paper and presentation material for our final Client presentation to be held in Pretoria, South Africa week of July 7th. Sounds like an exciting journey full of wonderful new experiences and you are all certainly making the most of a golden opportunity to learn much from your kind hosts, while in exchange presenting all you have to offer them.